Welcome to the Equestrian Blog Hop! What is an Equestrian Blog Hop? The Equestrian Blog Hop is a linky list shared between a group of equestrian blogs worldwide and hosted by The Timid Rider. Each month horse bloggers will write on important and interesting topics and link to them here. Readers may then“hop” from blog to blog through the post, read, comment, and find new blogs to follow! 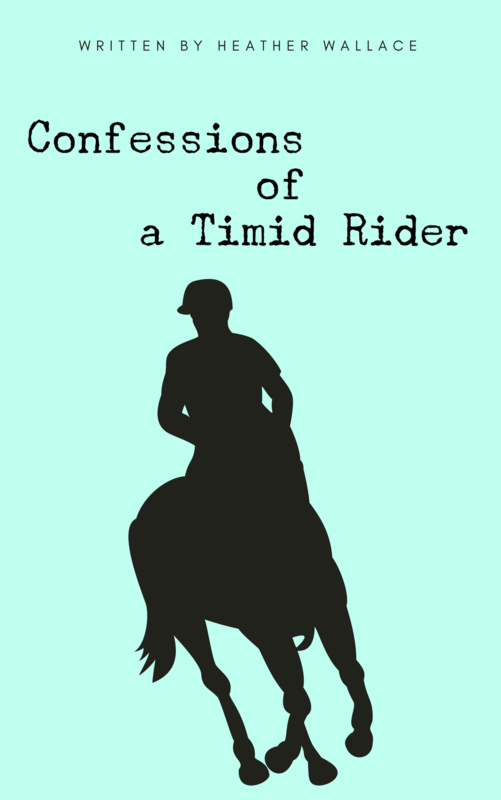 My name is Heather Wallace and I publish The Timid Rider a blog about horses, confidence, and holistic wellness. My “day” job is providing equine and canine sports massage and aromatherapy. I work closely with several local veterinarians to improve fitness, reduce inflammation and soreness, and calm the mind. One of my favorite things about blogging is the community of others that I have “met” and befriended through social media. The support network is absolutely amazing. To foster this and support each other’s blogs, I am hosting the Equestrian Blog Hop. Follow me @timidrider on Facebook, Pinterest, Twitter, Instagram. Please follow the rules below and contact me if you have any questions or concerns. A post must contain the linky HTML code or shortcode available at the end of the post. This code allows readers to view all blogs in the “hop” around and should be placed at the end of your published post. Visit, comment, and share as many blogs as you can. Use #equestrianbloggers and #equestrianbloghop in social shares. Include as many blog posts during the month as you like! *Please note there is no minimum word limit. However, Google prefers to index posts longer than 600 words for SEO results. Read and learn from other blogs. “Meet” and network with other bloggers. Increase engagement on your site. 2.Once you have entered your post details into InLinkz, include the link party HTML in the text at the end of your post. Then update your post! As bloggers publish their posts the blogroll will grow and your audience will widen. Visit any post through the list or thumbnails appearing at the end of your post or here on the home page. Have more questions? Here is a step-by-step tutorial. Comment on as many posts as you can! Having problems? Email me at heather@timidrider.com.